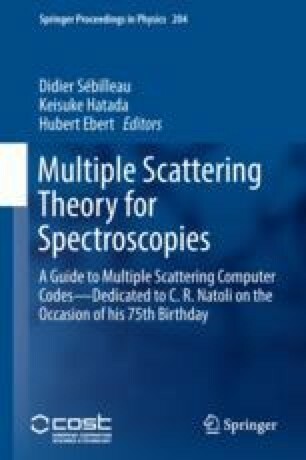 We present a scattering theoretic approach to the calculation of the cross-section of (e,2e) impact spectroscopy where all the electrons involved are treated within the real space multiple scattering framework. This approach is particularly suited to the reflection geometry at low kinetic energies, with the ejection of a core-level electron. In this case, we expect (e,2e) spectroscopy can be turned into an extremely sensitive surface structure probe.